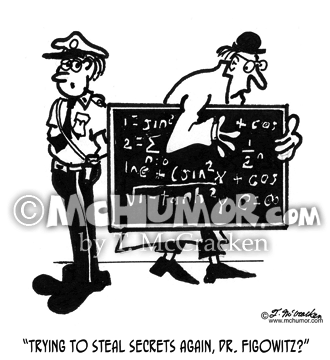 Lab Cartoon 2337: Security guard to scientist trying to sneak out with a blackboard under his trench coat: “Trying to steal secrets again, Dr. Figowitz?" 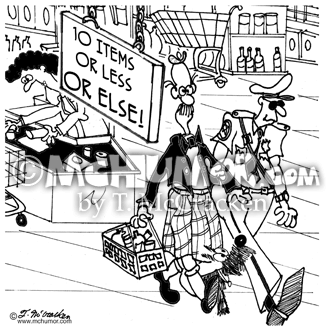 Store Cartoon 7814: A police officer arrests a man in a store with a sign at a checkout stand says, "10 Items or Less or Else." 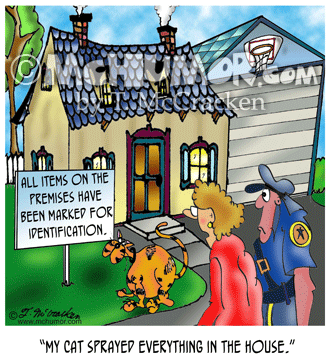 Cat Cartoon 3490: A sign on a house that says, "All items on the premises have been marked for identification." 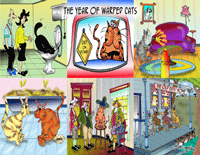 A woman says, "My cat sprayed everything in the house." 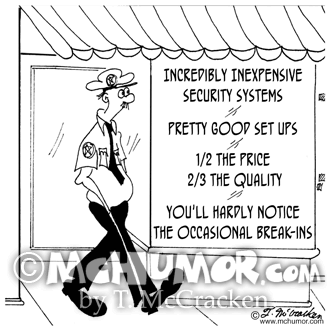 Security Cartoon 7109: "Incredibly Inexpensive Security Systems" advertise "Pretty Good Set Ups. 1/2 the price, 2/3 the quality. 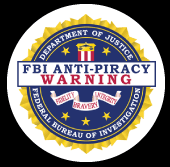 You'll hardly notice the occasional break-ins." 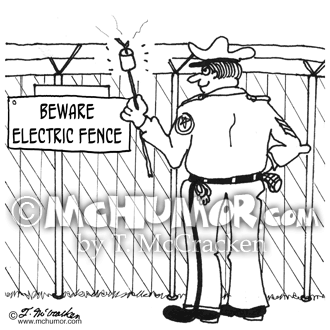 Security Cartoon 3003: A security guard roasts a marshmallow on a fence with a sign, "Beware Electric Fence." 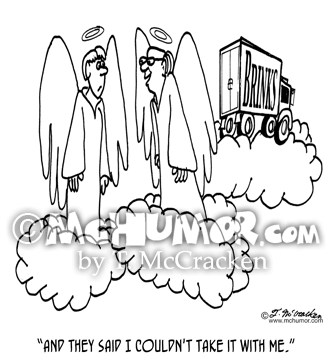 Banking Cartoon 2473: An angel in heaven pointing to a Brinks Truck on a nearby cloud and saying, "And they said I couldn't take it with me." 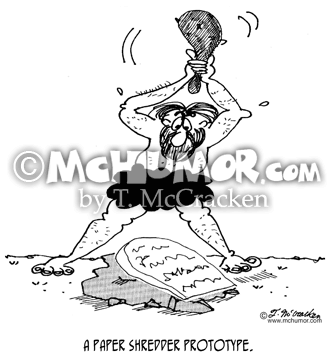 Anthropology Cartoon 7201: "A Paper Shredder Prototype." A caveman smashes tablets with a club. 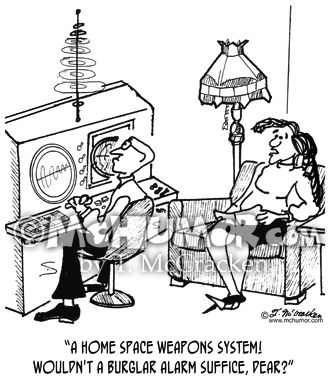 Security Cartoon 1614: A woman says to a man in front of an elaborate electronic set up, "A home space weapons system? 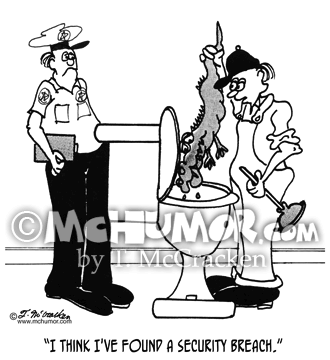 Wouldn't a burglar alarm suffice, dear?" 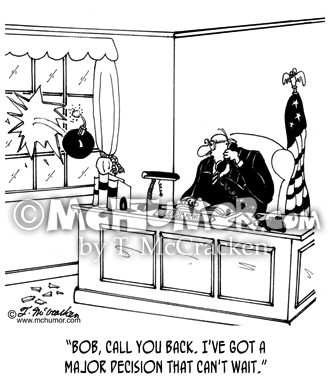 Judge Cartoon 5456: A judge on the phone seeing a bomb thrown threw his window says, "Bob, call you back. I've got a major decision that can't wait."